For technology, John Gage of Sun used the term to announce the rapid movement to distributed computing, now experienced by us as “the cloud.” For education, we took a detour. As connectivity hit ubiquity and media proliferated, instead of a sea-change transformation to individualized, future-focused learning, we detoured, using technology, students’ time, and classroom focus on testing. As you know, ESSA promotes state’s authority, gives more student assessment flexibility and removes unpopular teacher evaluation requirements. But the most powerful force in the gathering change in education we eagerly await may come from ESSA’s thrust to engage communities in envisioning education for the future. The Education Institute Hawaii (EIH) was formed in 2014 by active and retired Hawaii principals and area superintendents to research and promote school empowerment. The 2nd annual conference in January 2016 came on the heels of the signing of ESSA. The conference brought Finland’s Pasi Sahlberg and to meet with educators and community members. Governor Ige established an ESSA Task Force to create a Hawaii Blueprint for Education. The Task Force began a series of meetings with community groups and educators, convened a Governor’s Summit on Education with over 1000 attendees. The Department of Education (HI DOE) embarked on refreshing its Strategic Plan, reaching out for community input, surveying and holding focus groups. The Strategic Plan is to support education over the next few years while the Blueprint is to guide education for the next couple of decades. In this ESSA wave, I have led a Parents for Public Schools annual meeting focus group, two church services on teachers and digital transformation, two workshops, convened The Interfaith Alliance Hawaii Open Table panel discussion, testified to the Governor’s Task Force and co-led a workshop at the Hawaii Education Summit. Lately, I’ve been publicizing the ongoing town hall meetings by the BOE/DOE and the Governor’s ESSA Team. The purpose of all this activity is to engage our community in rethinking education. Here in Hawaii, hope flows through the fragrant air. Our one-district-state community is uncommonly alert to the education sea-change, of which ESSA is a big wave. Hawaii may transcend tests and a one-size-fits-all education, using today’s connectivity, devices, and applications, stories and rich learning media, including Open Education Resources (OERs). The state may increase assessment based on student work, empowering teachers and preparing students for their future. As key evaluators of learning, teachers will gain respect. With ESSA flexibility, Hawaii may transform education, to give the “whole child” a thirst for lifelong learning. I have worked in assessment, learning media, professional development and blended learning for over 30 years. I have seen student interest ignited by great teachers, strong learning opportunities and resources, and I have seen students discouraged even humiliated by tests. Given the unfortunate timing and a lack of integration with the curriculum, tests often fail to provide teachers or families with insight into student learning. Testing should be an invigorating, exciting, focusing aspect of learning, not an interruption. The vital classroom learning conversation between students and teachers should be supported and enriched, not derailed and aborted by the physical requirements or timing of tests. Student work should be evaluated by teachers using carefully developed rubrics. Intensive professional development and cross grading of student work can ensure equivalency. School evaluations can be accomplished through sampling like the NAEP together with formative assessment embedded in computer-based learning and games and through student work evaluation. The value of these methods is that although significant professional development would be required, all of the effort and expense would go toward the enhancement of teacher skill, of teacher empowerment, and of engaged student learning. The result would be greater learning intimacy for teachers and students and greater respect for teachers. Students learn to build knowledge in the humanities, researching in the easy-to-search AwesomeStories archive or in over 100 linked world-renowned archives. Finding the stories and primary sources in the archive, deep reading and reflecting, discerning the truth, and crafting their work in writing and media ensues. 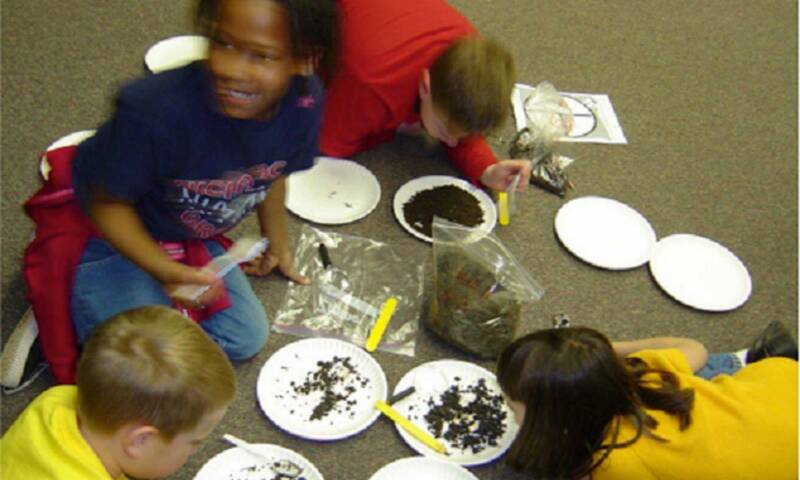 Research, critical evaluation, writing and collaboration activities satisfy state standards at the same time they enable students to “go deep” in exploring their own interests. Brain synapses fire when students read or hear stories. Stories linked to OERs engage students and instigate critical analysis of the sources and topics. All this is achieved with minimal expense given the leverage of OERs. AwesomeStories makes it easy to deploy OERs given the searchability of our archive, the story entree to topics and sources, and MakerSpace tools for creation of articles, lessons, stories, papers and even ebooks, by teachers of students. AwesomeStories MakerSpaceTM supports teachers and students building stories, papers, projects, lessons and ebooks in story form— supported by evidence in the form of primary sources. Our archive of over 100,000 curated OERs are contextualized by ~5000 powerful original stories addressing subjects across the curriculum. AwesomeStories is an English language and multilingual teaching and learning tool, instantly translatable by a single click into 104 languages. Schools upload their entire scope and sequence with CurriculumMakerTM, enabling online access and co-creation by teachers with school or district review. Faculties create their own texts in story form. Through StoryMakerTM, students draw on 100+ world-renowned archives, integrating and citing sources into their work. Students share with their class or publish on AwesomeStories.com, which has 4 million visitors a year. WriteFolioTM holds student work and teacher comments. Teachers assess using district-chosen rubrics. As arbiters of student work, teachers are accorded the respect they deserve and that fuels a dynamic, positive education process. Support your students, teachers and curriculum with stories, carefully curated OERs, and powerful “makerspace for the humanities” apps–designed to catch the wave of education transformation at www.AwesomeStories.com.